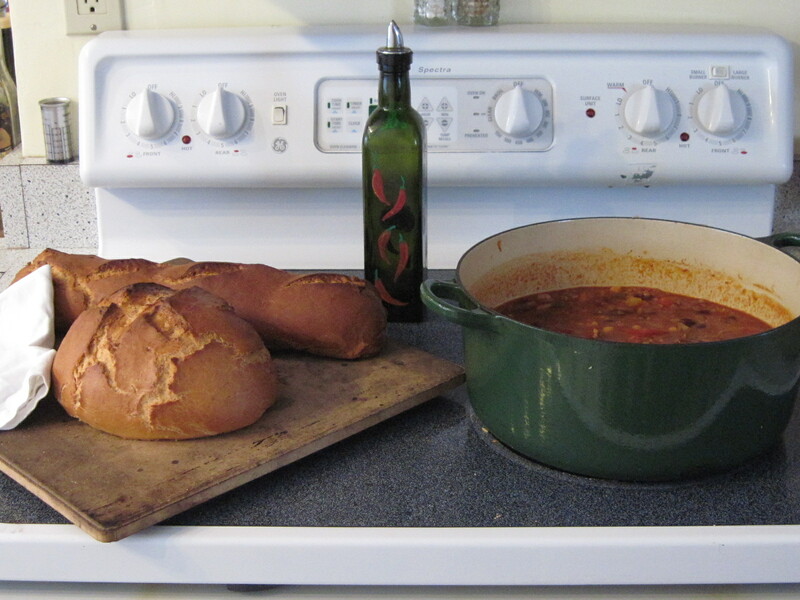 Vegetarian Chili with Homemade Sourdough Bread: January in Guildhall, Vermont. A snowy day in mid-January. The perfect time to spend a weekend day alternating between a good book in front of the woodstove and in the kitchen, concocting a lovely vegetarian chili and some scrumptious sourdough bread. But a few years ago, when I was Town Clerk and looking for a vegetarian chili recipe to satisfy both meat eaters and veggies among the election day volunteers at the Town Office, I found this! Today was the end of the five days and I used my new starter to bake two loaves of crusty French sourdough, recipe courtesy of the great Bernard Clayton, Jr.
Next Article No Road Commissioner for Guildhall?